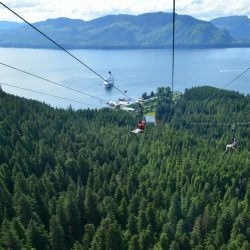 Take in the views on the ride to the top, then race to the bottom on the world’s largest ZipRider! 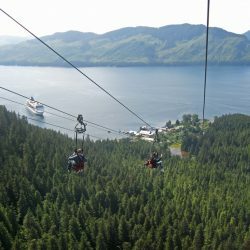 Icy Strait Point features the world's largest ZipRider, with six 5,330’ ziplines dropping 1330’. 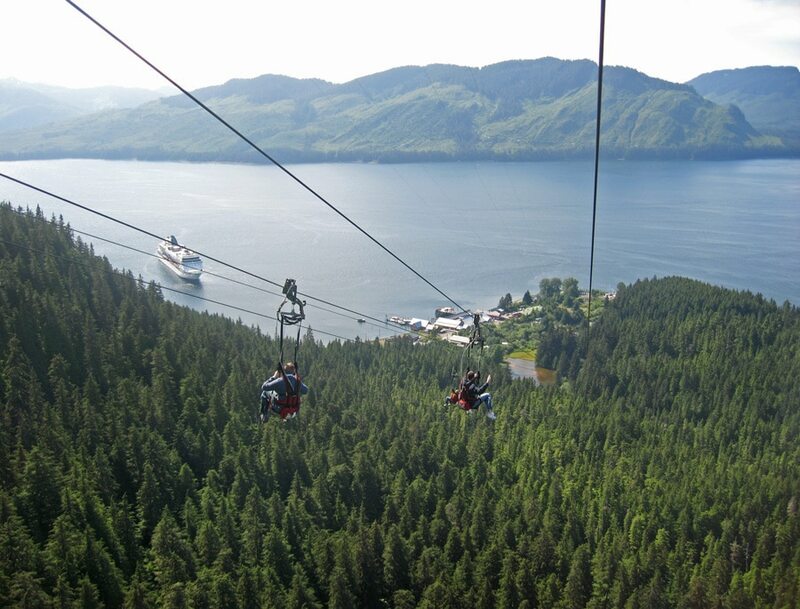 After launching, you will quickly accelerate to speeds exceeding 60 mph as you soar 300 feet above the rainforest below. 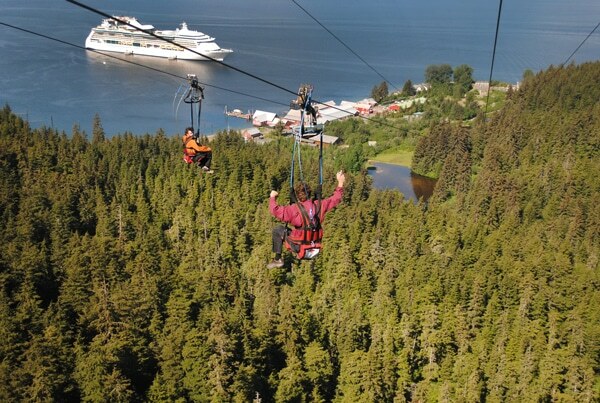 If you are looking for a one-of-a-kind experience, then the ZipRider is for you. 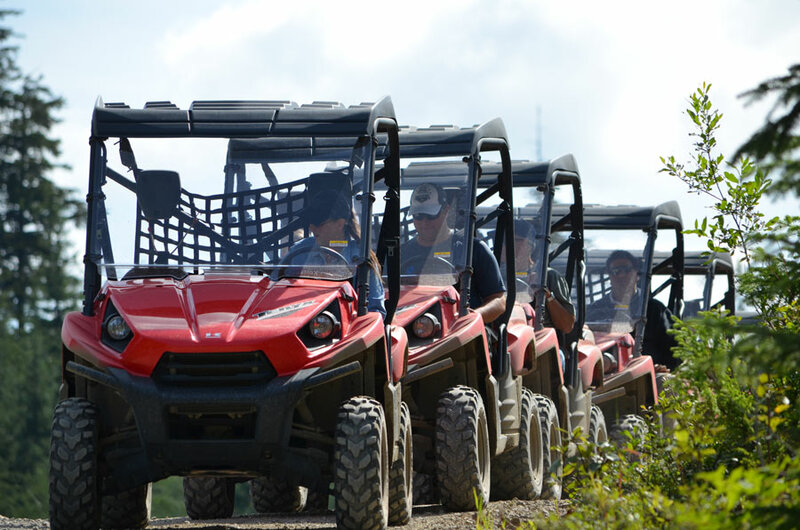 With up to six guests descending at once, this is also a great family or group activity! 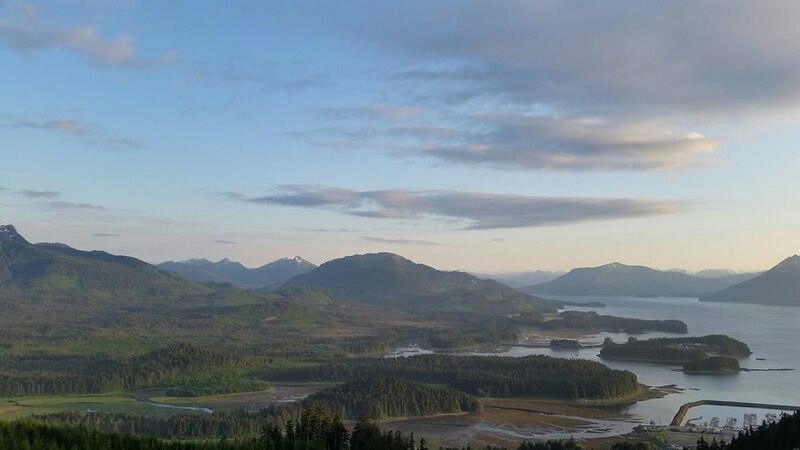 Your adventure begins when you board your bus for the scenic drive to the top of 1550’ Hoonah Mountain. 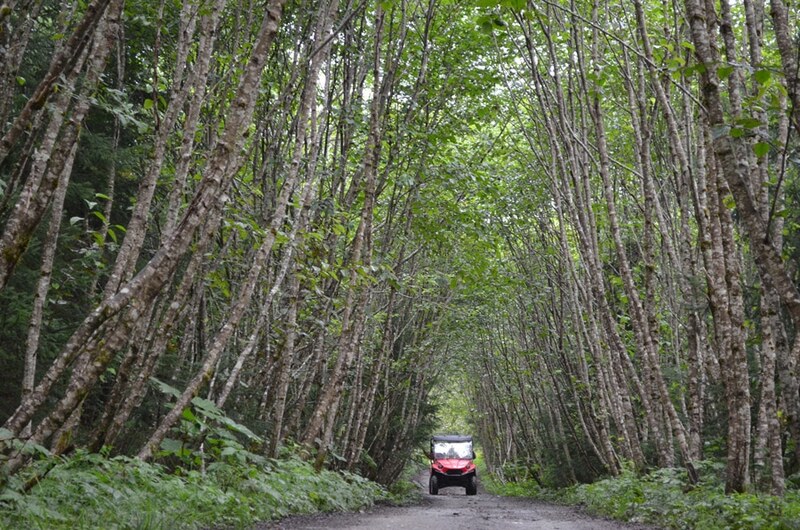 Your driver will narrate as you pass through the village of Hoonah and then up the mountainside. 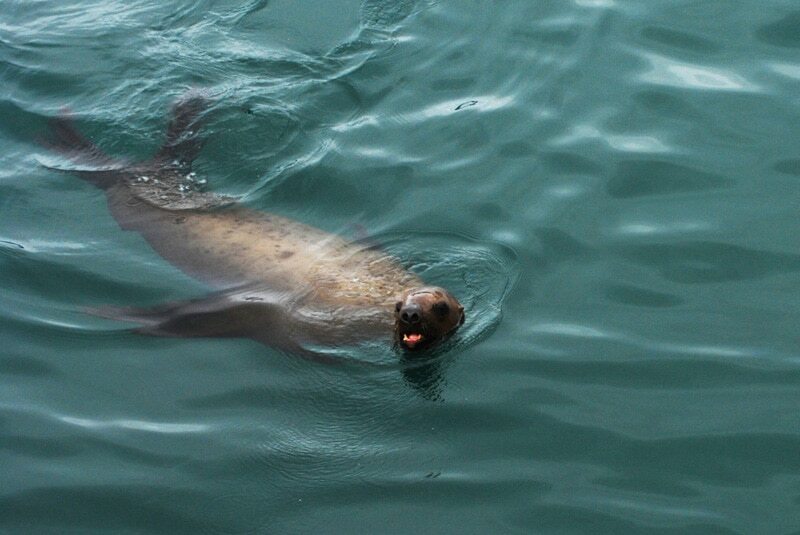 Keep a watch out for wildlife! 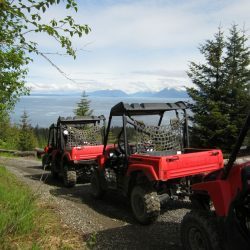 Deer, eagles, and bears are occasionally seen. 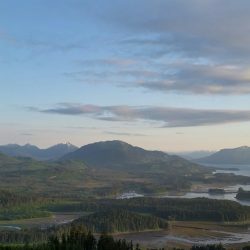 Several overlooks offer spectacular vantage points of Hoonah, Port Frederick, and Icy Strait. 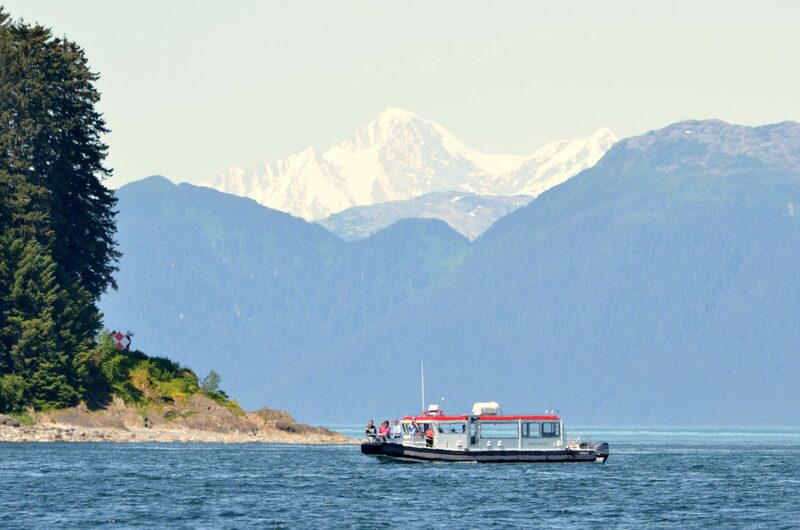 On clear days, you can see the towering peaks of Glacier Bay National Park in the distance! 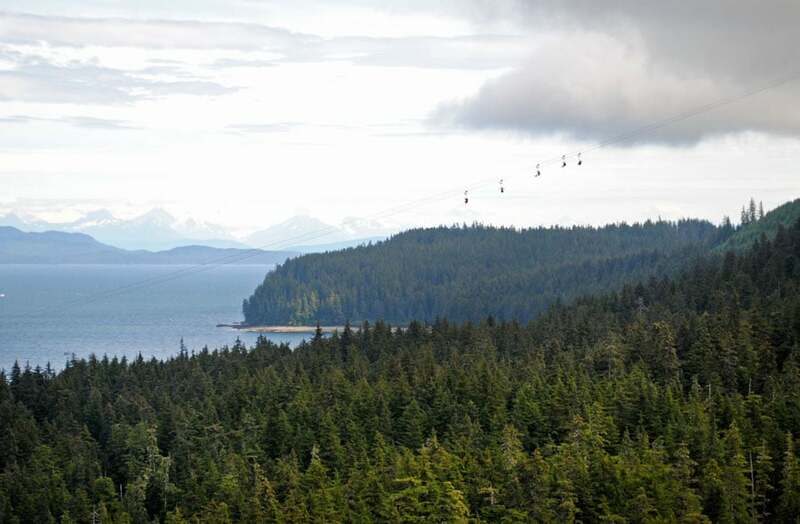 Once on top, you will take a short walk through towering old-growth rainforest to the launching area. Upon reaching the tower, you will be given a safety briefing and organized into groups of six. 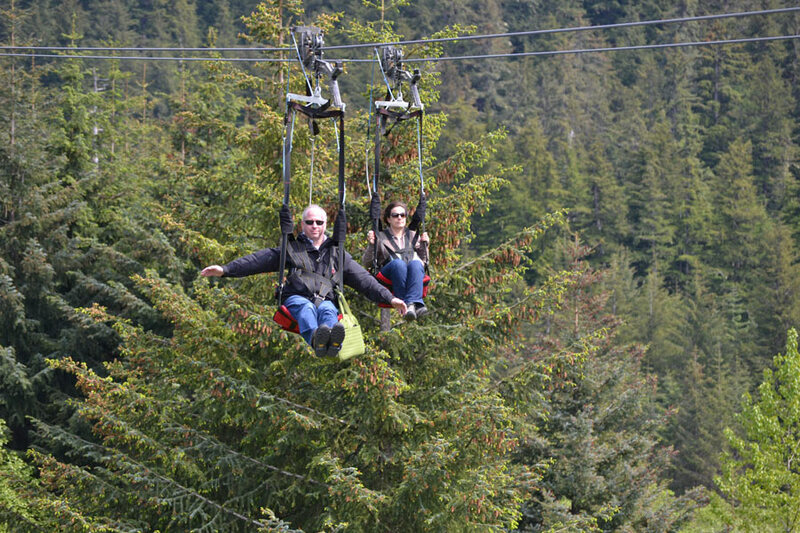 After being seated and secured in a special harness, you will prepare for take-off. 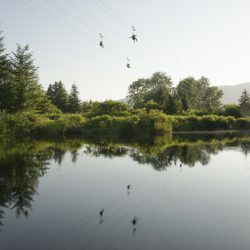 As you race down the zipline, your initial surge of adrenaline will be replaced by genuine appreciation of the magnificence of the local scenery. 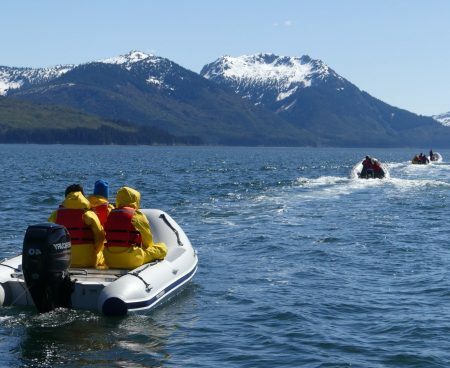 Your ZipRide will conclude with a break-activated landing on the beach back at Icy Strait Point. Please bring warm clothes and raingear as necessary. No open-toe shoes, please. While we will make every effort to keep groups together, we cannot guarantee every group will be able to descend together. 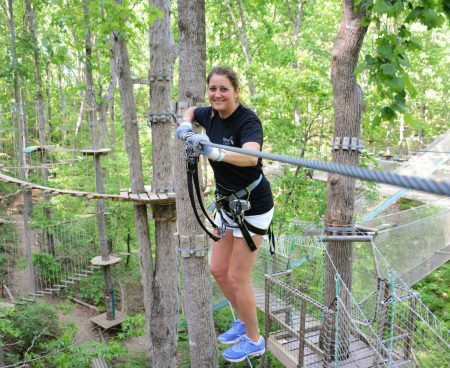 Participants must weigh between 75 and 275 pounds and be comfortable with heights. This ride is not recommended for individuals with back or neck problems, or those who are pregnant. 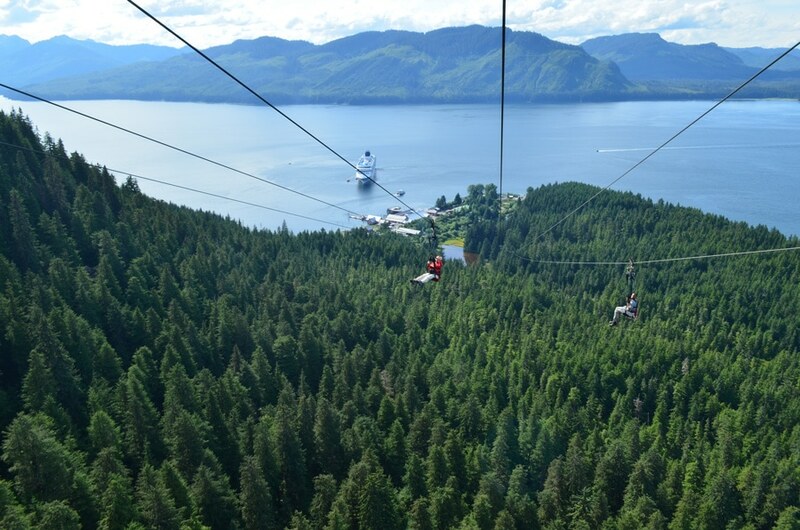 ZipRider photos will be available for purchase at the end of your ride. 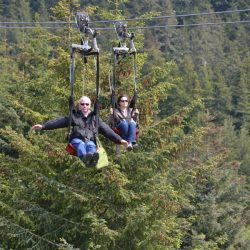 Participants must be between 75 and 275 pounds and be comfortable with heights. Closed-toe shoes required. No expectant mothers or guests with back or neck injuries. 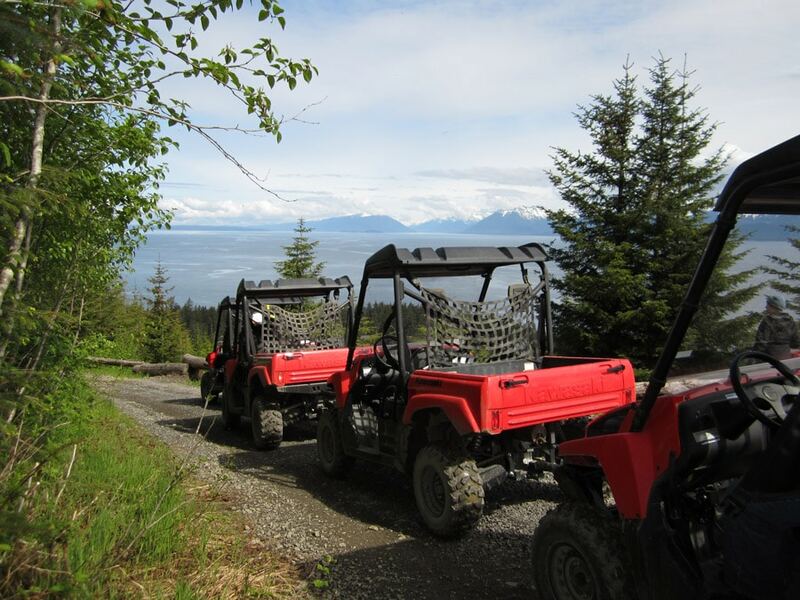 Prior to taking on the world-famous Icy Strait Point ZipRider, experience the wild lands of Chichagof Island first-hand during your rugged ATV Expedition adventure. 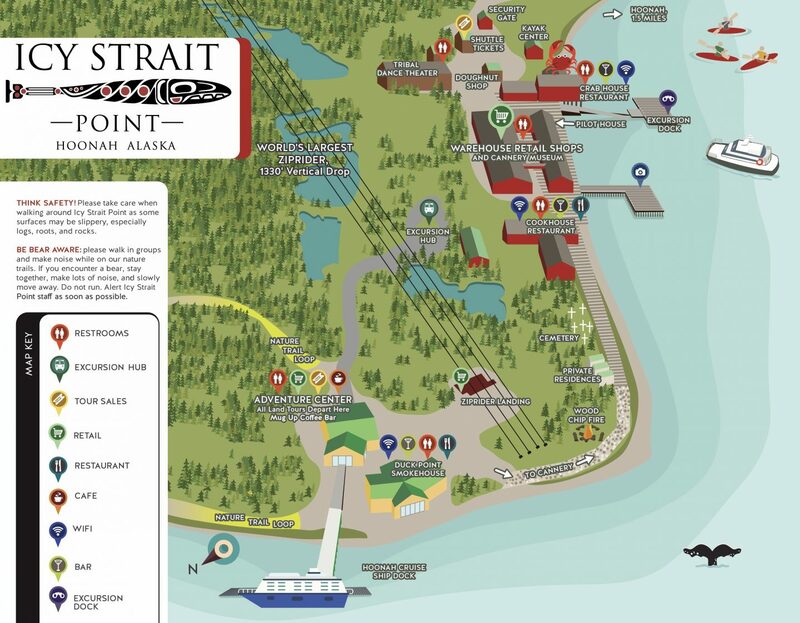 Board a comfortable bus for a guided tour through the Tlingit village of Hoonah en-route to your departure site high in the surrounding hills. 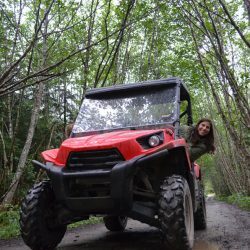 Upon arrival, your local guides will provide a safety briefing before you board your 4x4 Kawasaki Mule for a rugged drive through the forest with stops to take in the scenic valley, mountain, and ocean views. 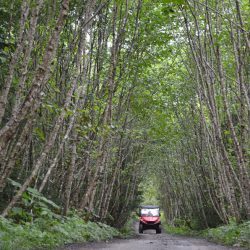 Along the way, your guide will stop to explain the natural history of the area, including the spectacular Alder tunnels that have formed over the trail! Licensed drivers will have opportunities to switch driving responsibilities. 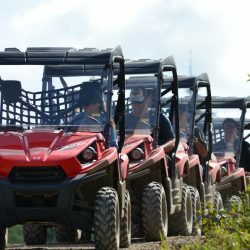 This is a remote dirt trail experience and the ride will be bumpy. It is thus not recommended for guests with back or neck problems, or pregnant women. 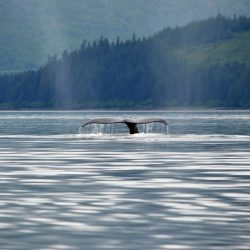 As soon as you arrive, be swept away on a small group whale watching excursion to the Point Adolphus area, which hosts one of Alaska’s largest resident whale populations. 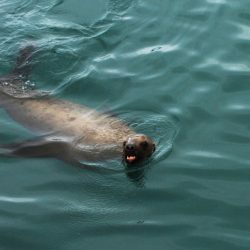 The 24-passenger vessel sits low in the water, putting you eye-to-eye with whales, sea lions, and harbor seals that make their home in these protected waters. 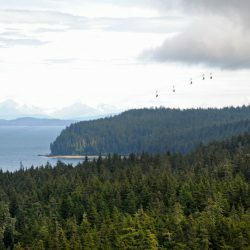 Be sure to keep a look out for eagles that soar high above and brown bears along the coastline. 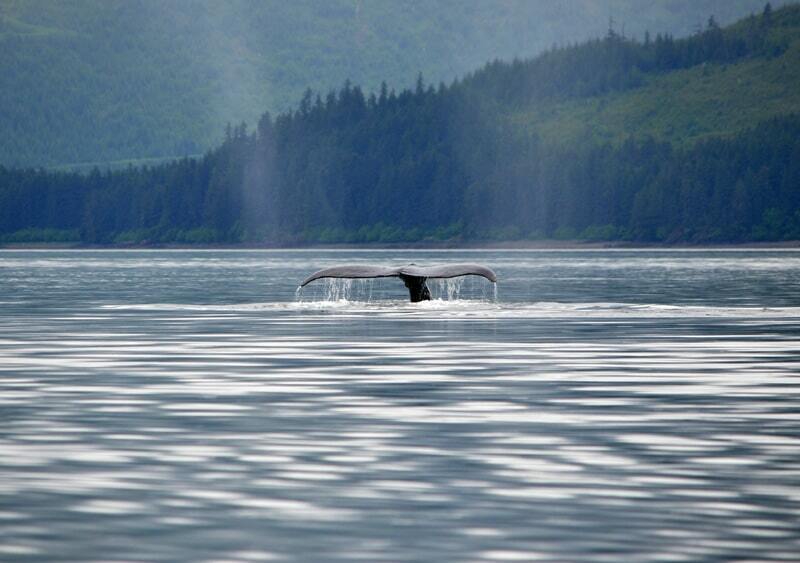 We guarantee you will see at least one whale or you receive a refund of the whale watching portion of your tour. 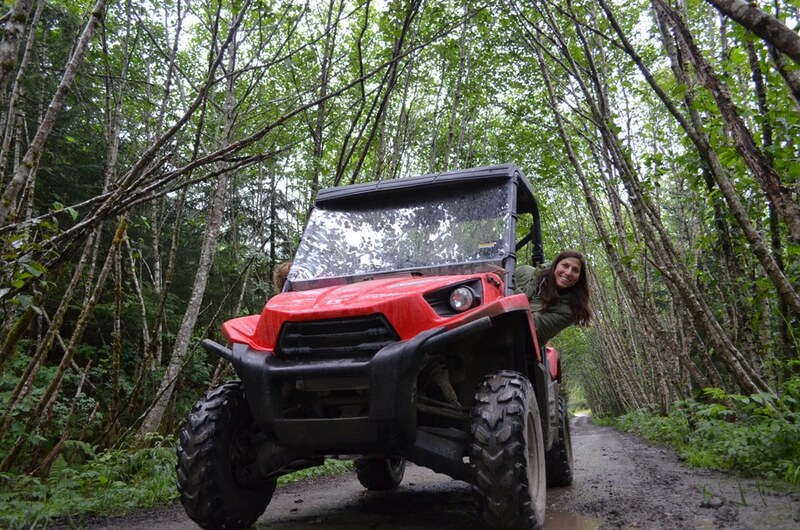 Then, enjoy a scenic drive through Hoonah, the largest Tlingit village in the world, on your way 1550’ up the mountainside to begin your ZipRider adventure. 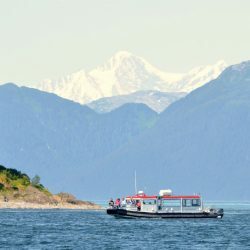 Take in the spectacular views of Icy Strait and distant Glacier Bay before flying back to sea level over the rainforest below at speeds exceeding 60 mph. 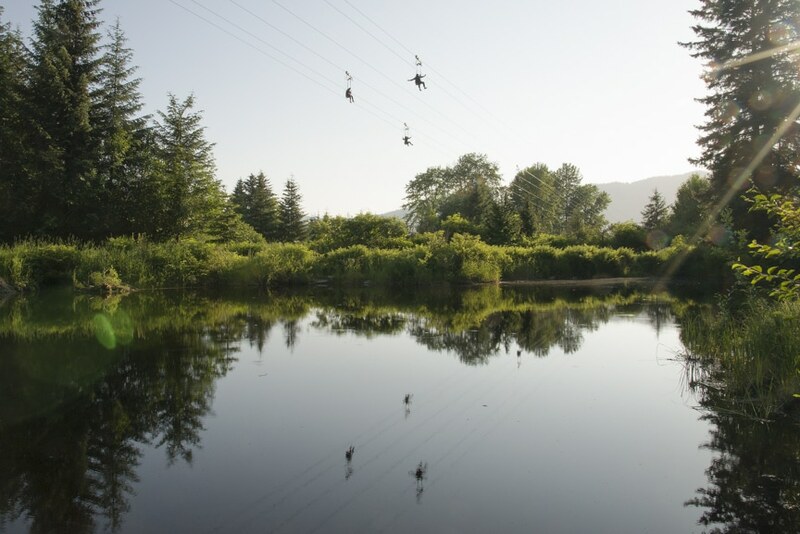 Up to six people can descend simultaneously, making this a great group activity! 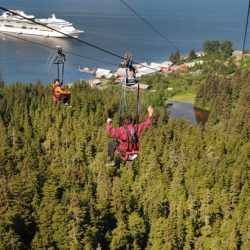 This amazing, adrenaline-fueled zip-ride ends with a gentle touchdown on the beach at the water's edge at Icy Strait Point. Tour order may vary. 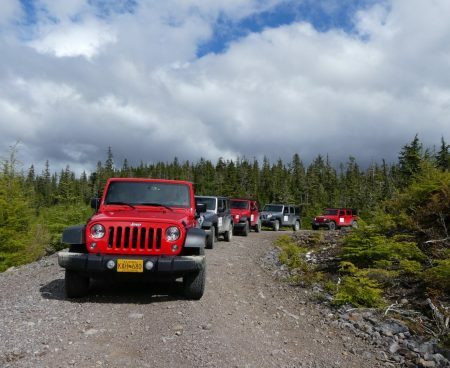 Layered clothing and waterproof outerwear recommended.